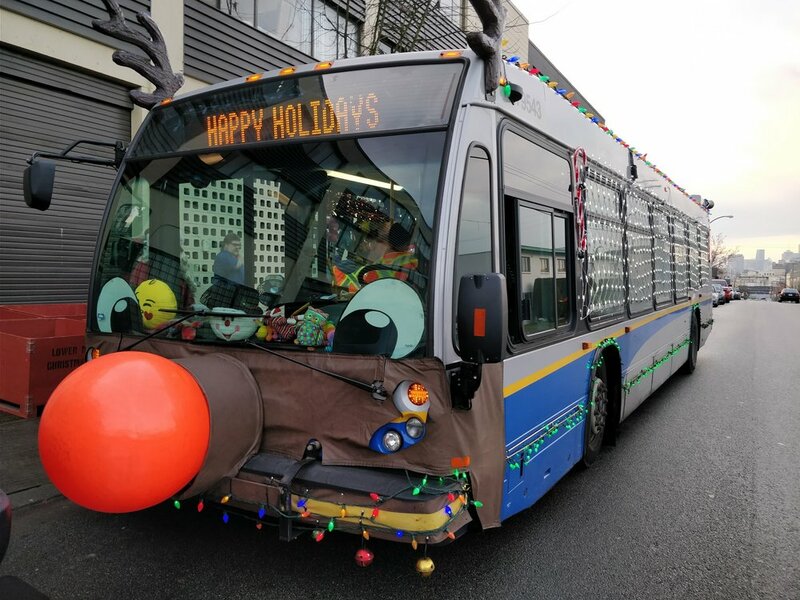 Toys for Tots from the TransLink Team — . Our team always waits with excitement for Santa and Mrs. Claus to arrive at the warehouse in the Reindeer bus. On December 14th, 2017, two bus-loads of toys of nearly 3,000 toys from the Toys were dropped off from the Toys for Tots Toy Drive . Toys for Tots was created in 1985 by eight BC Transit bus operators. The group wanted to give back to the community during the holidays. The program exceeded expectations and quickly became popular with other operators. From then on, the tradition has carried onto TransLink and its operating companies. 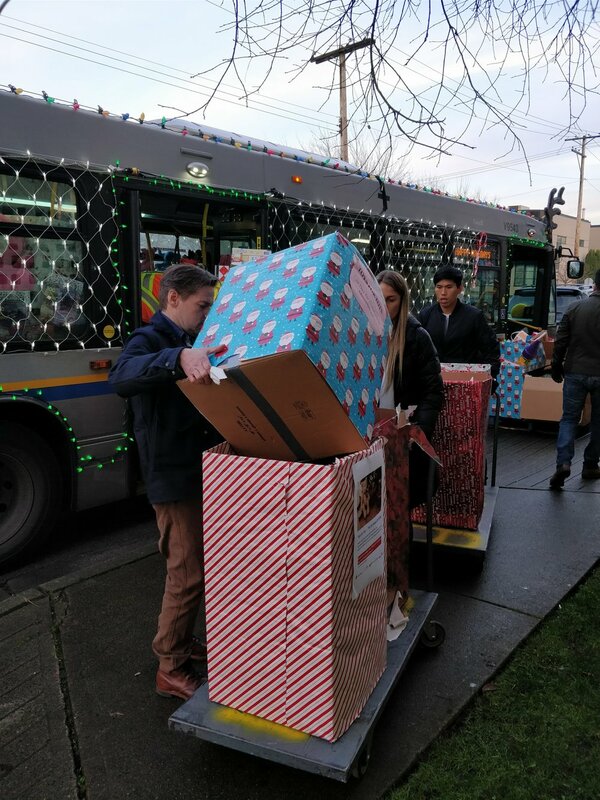 The Lower Mainland Christmas Bureau is grateful for the 32nd year of support from the operating divisions of TransLink and its staff in collecting toys across the entire system. The generosity of TransLink over the years has brought smiles to tens of thousands of children in the lower mainland. Enjoy some of these photos of this year's delivery of toys.